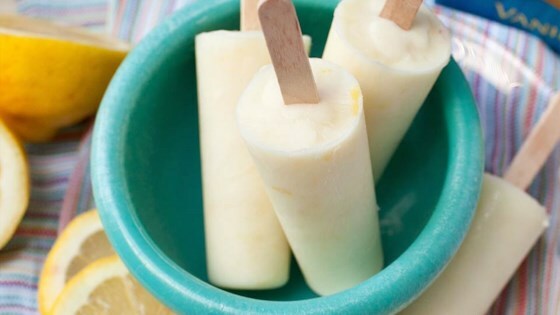 "Bright and lemony almondmilk ice pops are the perfect refreshing snack on a hot day." Whisk ingredients together and pour into ice pop molds. Freeze until hard (about 2 hours).